I took this picture at a leather tannery in Fez, Morocco. In Fez, leather-making is done in pits that date back to the 11th century. 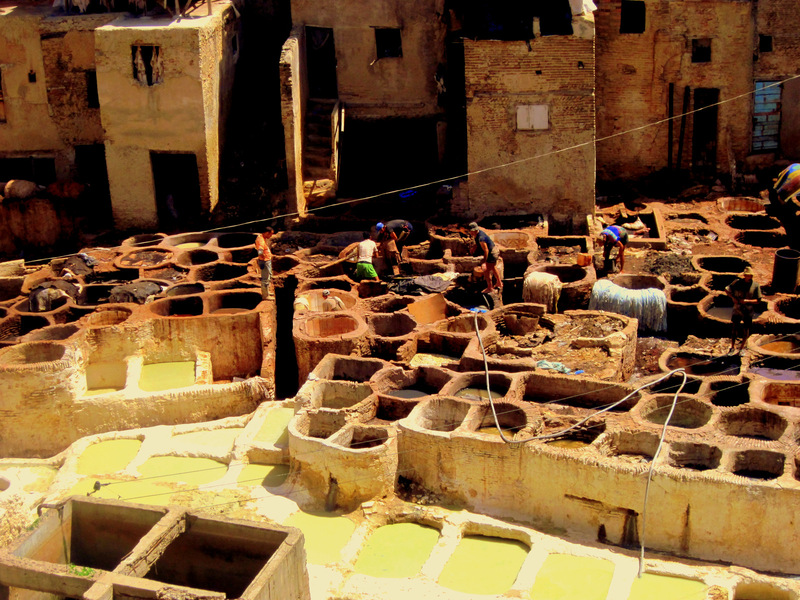 There are three tanneries in Fez, this being the largest. Customers are given a sprig of mint to hold under their noses, in a vain attempt to mask the stench from the pits, where limestone, alum, and pigeon droppings full of ammonia are used in the process. After a brief orientation at the terraces overlooking the pits, customers are taken to the showroom, where the real show begins – negotiating for leather jackets, purses, slippers, ottomans, belts and more. This entry was posted in Morocco Photos and tagged Fez, Morocco, Photography, Tannery. Bookmark the permalink.